This topic contains 10 replies, has 6 voices, and was last updated by William Thirteen 8 months, 1 week ago. it seems LRHs work with JP brought the former to an appreciation AC’s oeuvre – “a trifle wild in spots” – as noted in this brief recording of LRH speaking about AC, his “very good friend”. 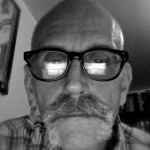 This topic was modified 8 months, 3 weeks ago by William Thirteen. Delightful! I hadn’t heard it before, thanks. I’d forgotten LRH’s clear speaking style, that Standard American Broadcast Voice, once ubiquitous but which seems to have died out by the early 1980s. LRon did not know AC personally, “in the flesh”, of course. Was there ever even any direct correspondence between them? I don’t recall. 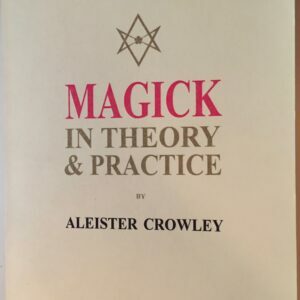 He mispronounces “Crowley”, which I don’t think he would have done had he gone to England and been properly introduced to him, or even knew AC second hand from anyone who knew him personally. 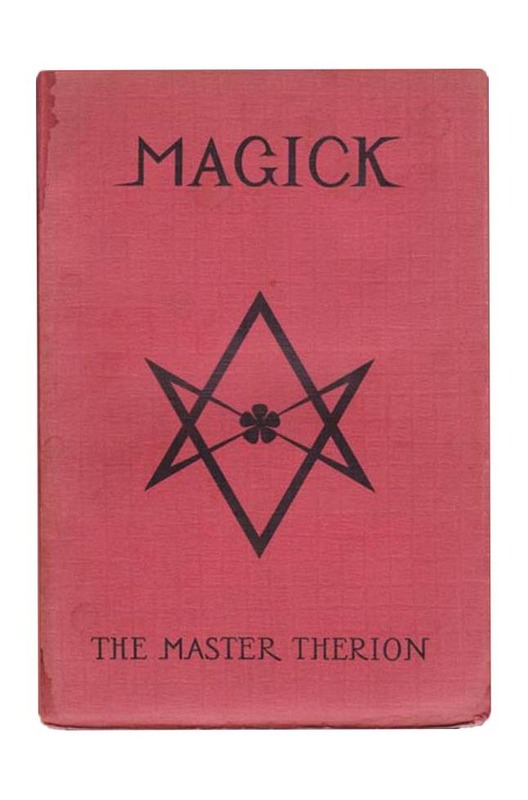 And the “very rare” book The Master Therion – is there any book with just those words on the title page, or is he misremembering Magick? This reply was modified 8 months, 3 weeks ago by belmurru. They never had any correspondence, just mutual association through Parsons (he was scryer in the Babalon Working). Crowley heard about Hubbard and knew he was bad news, kinda telling? Yet Hubbard managed to take the money and the girl, poor Parsons! 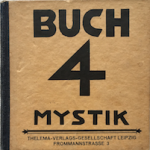 While Thelema and Scientology both share elements of Gnostic myth and Freemason degree structures, they’re completely opposed in their orthodox states. 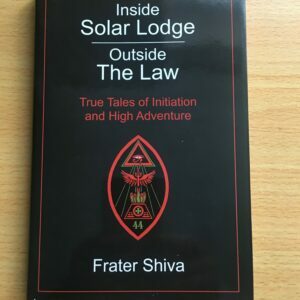 Thelema requires you to struggle on many levels, before developing a full appreciation of what it really is as a religion and magical system, Scientology (not a religion) on the other hand is money-hungry and force feeds pseudo-psychological and pseudo-scientific beliefs down the individuals throat. Independent Scientologists are still a different breed but in essence it is the same as the Church, on a private level. I’ve read elsewhere that “Do What Thou Wilt” is used as a slogan in higher OT levels, which is just plain bizzare considering all of the above. 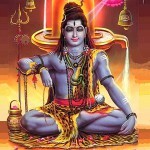 @belmurru – sadly, i suspect he is just misremembering Magick. Otherwise we’d have another rare text after which we’d go a huntin’. @qliphoth – yes LRH’s role in The Babalon Working and its aftermath is widely known. Q: Hubbard managed to take the money and the girl, poor Parsons! Yeah. That’ll teach him to jump into the Abyss and take the 8=3 grade. AC complained about the same thing (endlessly) in the latter chapters of Liber 333. It can be that L. Ron Hubbard had read such a version of this book, and/or owned, or had owned such a version of this book. 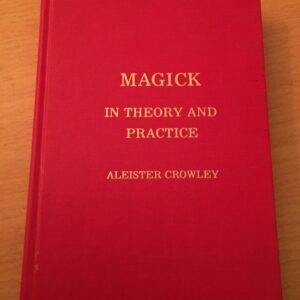 Do you belmurru know if Crowley’s book Magick has been published in many editions with only the words Magick The Mater Therion printed on the front cover page? The mention of “aesthetics” makes one wonder if he is referring to the Book of Thoth, which although not strictly speaking a work of aesthetics, is a commentary on works of art. It is more difficult to characterize Magick as a “piece of aesthetics,” even if it is not clear in what sense Hubbard is using the word aesthetics. Knowing the date of the interview would help determine which works were rare at the time. Both Magick and the Book of Thoth were fairly easy to obtain from at least the early 70’s forward, and each name the author as the Master Therion. The 1944 edition of the Book of Thoth gives the title and author’s name only on the title page, the front and back cover are identical designs of repeating patterns of Egyptian hieroglyphs and sigils. 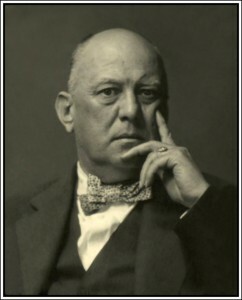 If you look at the Record of Distribution from the end-paper of Aleister Crowley’s copy of The Book of Thoth. Warburg Instute, University of London, London, Folder NS 93 cited in the last link you will see that Helen Parsons received a copy of the work, and others whom Hubbard may also have known at the time also received a copy. 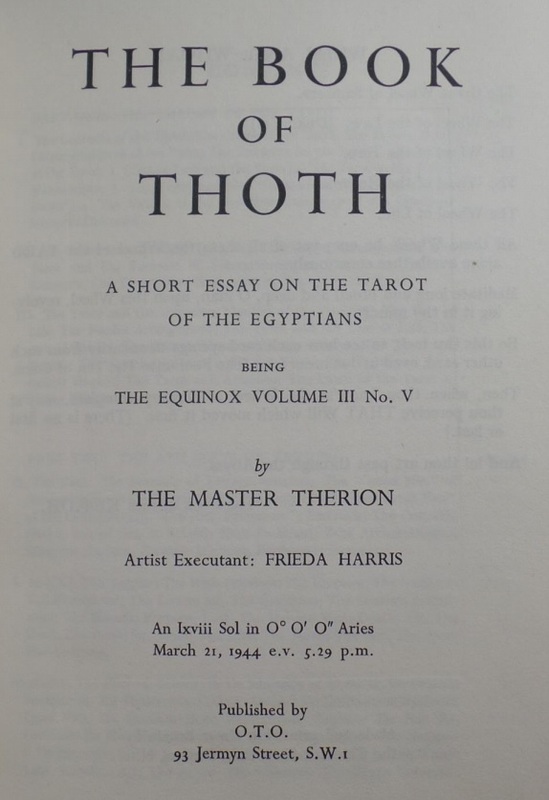 Both Magick and the Book of Thoth were quite rare books at the time Hubbard was involved with Parsons (1946) and later eloped with his ex-wife’s sister. There would certainly have been alot of excitement at the time of the publication of the work – it was a major new work by Frieda and AC on the art of the Tarot. 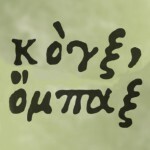 I guess it might be possible to characterize Magick as a work of aesthetics – Crowley had a reputation as a man who was steeped in the sensual life, and who celebrated the senses, and the Greek etymology of the word αἴσθησις pertains to perception founded on sensation and feeling. But Hubbard may have been lumping all of the work of AC together as a kind of aesthetics built around magic cults of the Dark to Middle Ages. This reply was modified 8 months, 1 week ago by 𝕛𝕘. good catch, jg. Parsons owned a copy of The Book of Thoth. It was on display at MoCA’s “Cameron: Songs for the Witch Woman” exhibition in 2014/15. If you scroll through the photos accompanying this article, you will see it. It is in a plain dustwrapper with only a seven pointed star on the cover.